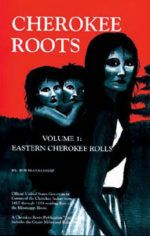 I am searching for Cherokee lineage for my gg-grandmother Mary Martin, born 1834 in GA…died in Sallisaw, OK in 1896…Her sons were Richard, Daniel and Thomas Martin….all are listed on the Dawes roll…..Her daughter Easter Julia Martin Duncan Knight was my g-grandmother…Thank you so much for any help. Looking for information on Mary Ellen (Mollie) Duncan Bay b. July 08, 1851 Tenn. d. Feb 27, 1923. My great grandmother. I’m trying to find her in the rolls she married Jiles H. Duncan Sr. Can anyone help? I don’t know her birth year but she was born June 6th. I am looking for a Martha Duncan that married David Lewis McDonald.